Mike Neal will enter free agency looking to land a team and a position. 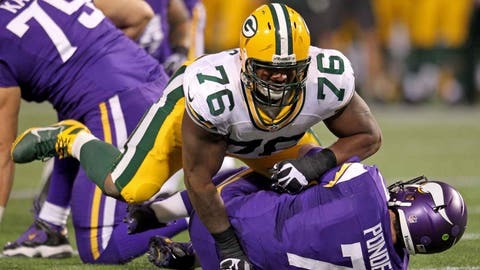 GREEN BAY, Wis. — Mike Neal isn’t sure which position he’ll play next season or for which team he’ll be suiting up. Perhaps the Green Bay Packers will express strong interest in re-signing him, perhaps interest will be stronger elsewhere. It’s an uncertain future for Neal, a free agent whose situation is further complicated by his transition in 2013 to outside linebacker after years as a defensive lineman. But whether it’s in Green Bay or in a different NFL city, Neal sees big things ahead for himself if he continues on at outside linebacker. "Honestly, you think about people making transitions, and to make it in as short a period as I did and to be as successful as I was, if I play another year (at outside linebacker), I wouldn’t expect anything less than to be great," Neal said. When the Packers decided to give this experiment a try, the plan was not to exclusively have Neal at outside linebacker. With the way the season played out, though, there was little choice but to make the move more permanent. Defensive coordinator Dom Capers explained that due to injuries to Clay Matthews and Nick Perry, Neal actually ended up playing more snaps at outside linebacker than anyone on the roster. Neal was relatively productive with his playing time, too. He had 37 quarterback hurries in 394 pass rushes, according to ProFootballFocus, which at 9.4 percent was more frequent than Matthews. However, Neal’s five sacks didn’t match Matthews’ 7.5 sacks. Plus, Neal wasn’t double-teamed — and sometimes even triple-teamed — like Matthews was, but it was still quite impressive for a player adjusting to a new position. "I had a lot of success," Neal said. In fact, it was even better than what Neal expected to be able to accomplish. "Most definitely I surprised myself," Neal said. "But confidence starts from within. I knew that it would be a task, but one of the biggest things, KG (now-former outside linebackers coach Kevin Greene) was always in my head telling me, ‘Athletically, you have the skill set to do anything you want to. It’s just mentally, where will you be at at understanding? How fast is your ability to pick up on things?’ And he always told me that once you see something, and you get beat on it, I don’t have to coach you because you’re already hard enough on yourself. That just helps me with the transition. "I was surprised. I ended up with a lot of tackles and sacks and big-time plays." A few of those other big-time plays that had Neal feeling good about his production included an interception, a forced fumble and tying for second on the team in tackles for loss. While he hopes to build on that, Neal knows that he can’t officially close the door on potentially moving back to defensive line just yet. "I was always a rush defensive tackle in this system; I was fine with that, that’s what I did good," Neal said. "I lost the weight and played outside linebacker; I’m good with that, too. I can play multiple positions and I look forward to it." That versatility could make Neal a hot commodity in free agency. But if he’s viewed solely as an outside linebacker, that should work out well for him. 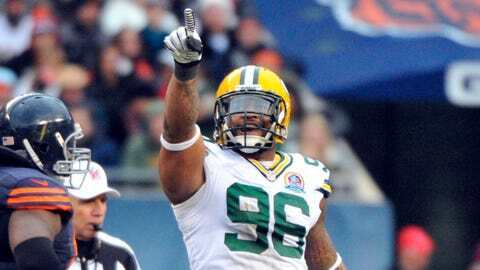 After all, it was last offseason that Erik Walden was given $16 million over four years by the Indianapolis Colts, and he never exceeded three sacks in any of his three seasons in Green Bay. Though Neal is more of a wild card than Walden was, Neal’s superior strength and pass-rushing ability could be enough to earn him a pay day that exceeds $16 million. "This is the end of my rookie deal; I’m looking forward to signing another deal," Neal said. "If not here, somewhere else, but definitely I want it to be here." Neal added that, as someone who grew up in Indiana and attended Purdue University before being drafted by the Packers in the second round in 2010, he’s comfortable in the midwest and would prefer not to leave. "If they’ll have me back, then I’ll be glad to be back," Neal said. 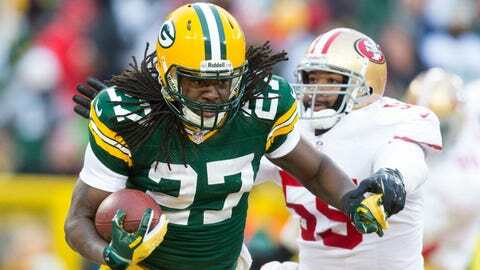 Neal is one of 20 free agents that general manager Ted Thompson will choose whether to negotiate with this offseason. So, of course, it’s possible that Neal’s year of training at outside linebacker in Green Bay will go to use for another team. But with Matthews’ continuous injury issues, Perry’s development still a work in progress and rookies Andy Mulumba and Nate Palmer the only two waiting behind them, Neal might be worth the money for the Packers to re-sign.